It is 100 years since the ANZAC Forces arrived on the shores of Gallipoli marking New Zealand’s entry into WWI. Wellington, New Zealand, 2015-4-14 — /Travel PR News/ — Anzac Day is always a poignant reminder of the wartime sacrifices made by those on both sides of the Tasman but, with 2015 marking the centenary of the Battle of Gallipoli, this ANZAC Day will have a special resonance. As a consequence the range of events and programmes throughout the country will be simply spectacular. The exhibition opens on18 April, and people who may not be able to attend in person will still be able to join in the experience online – Weta and Sir Richard Taylor feature in a series of videos detailing the making of the exhibits. Weta’s involvement is quite apt – as Sir Richard points out, many New Zealand soldiers preparing to ship out for the Great War trained at a sports ground just across the road from the buildings now occupied by Weta Workshop in Miramar. ANZAC Day itself starts early with, in Wellington, the Dawn Service at Pukeahu National War Memorial Park followed by the National Service of Commemoration at 11am, where representatives of all nations will lay wreaths. In the afternoon a service will be held at the Ataturk Memorial – a gift from the people of Turkey on Wellington’s south coast – and the Dawn Service at Gallipoli will be broadcast live on screens at Pukeahu. 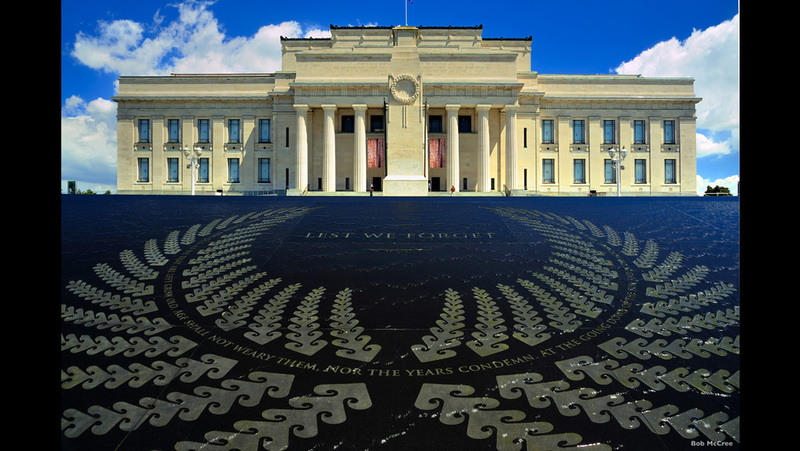 The Museum, paid for by subscriptions following the Great War, has become a symbolic meeting-place for Aucklanders to honour and commemorate the fallen and, as usual, will host what is always the country’s best-attended Dawn Service, followed by a programme of choral music and guided tours. The ANZAC Cententary commenorative programme will continue through April and May. The ANZAC spirit will be commemorated in many different ways throughout New Zealand. The Rotorua District Field of Remembrance has been installed in Rotorua’s historic Government Gardens, with crosses in this Field of Remembrance representing soldiers from the Rotorua District who lost their life whilst serving during World War One, 1914 – 1918. The Field of Remembrance will be open from Friday 24 April until Tuesday 28 April 2015 and is beside the Cenotaph in Government Gardens. This entry was posted in Entertainment, Festivals and Events, Tourism, Travel, Travel Marketing, Travel Services, Travelers and tagged ANZAC DAY 2015, ANZAC Forces, New Zealand, New Zealand's entry into WWI, shores of Gallipoli. Bookmark the permalink.